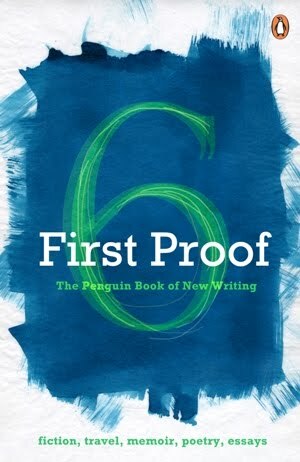 The Penguin Book of New Writing Volume 6 contains a selection of non-fiction, fiction and a couple of poems. Reading an anthology reminds me of the famous words uttered by Tom Hanks as Forrest Gump in the eponymous movie "...like a box of chocolates. You never know what you are going to get." The collection is a little erratic, with some excellent writing, some fantastic translation from regional languages and some run of the mill stuff. The first non-fiction piece is a beautiful but heart-wrenching tale, "A Young Man", by Sunanda Sikdar, who has excerpted and translated from the original Bangla "Dayamoyeer Katha" by Anchita Ghatak. It deals with the barbaric practice of making young widows shave their heads and lead an austere life upon the death of their husbands, whether or not the marriage was consummated. The generosity of these women who were doomed by the prevalent customs with no way out is sure to bring tears to the most cynical among readers. Chatura Rao's three vignettes titled "By the Ganga one winter" has a memorable piece on the momentary fame experienced by an ordinary person and how one can live on a long-forgotten memory that lights up the monotonous present, if only fleetingly. In "Cabbie", Anindita Ghose poignantly captures the nuances of an unlikely friendship between a graduate student in New York and a Pakistani cabbie, how class differences may blur in a strange environment but only momentarily. In the fiction section, Triptych by Ranjan Nautiyal describes the advent of rain and its effect of three young children with a loving touch in "Forgotten friend". "Soul Mates" by Kanchana Ugbabe is an extremely believable tale of a freeloader whose unwelcome stay creates problems in the household. Through "Aaba and other mysteries" Deven Sansare relates the effect of the prolonged mill workers strike that ended the industry in Mumbai and changed forever the lives of the workers and their families through the eyes of a young boy who comes of age in this period. Two wonderful stories of families with children abroad and the effect on the family members left behind are worth reading as they express the same sentiment through different protagonists - "Mrs.Dhillon" by Purnima Rao and "A 33-1/3 LP" by Somnath Mukherji. "Stink" by D. Rege is a hard-hitting tale of hijras and how their life does not become any easier even if the government passes article 337 in their favor. Of the two poems at the end of the book, I loved Keyur Patel's Conversations. I am not sure what criteria was used by the publishing house to pick these stories amongst the myriad others that are available. A brief introduction to the authors is provided at the end of the book. It is clear that many of the authors are established in the writing profession, either as reporters, translators, screen writers, ad writers and such. Perhaps it is their level of proficiency that impacts the quality and feel of their words. What would be a worthwhile effort for Penguin is to bring out genuinely "first" writing by budding authors.